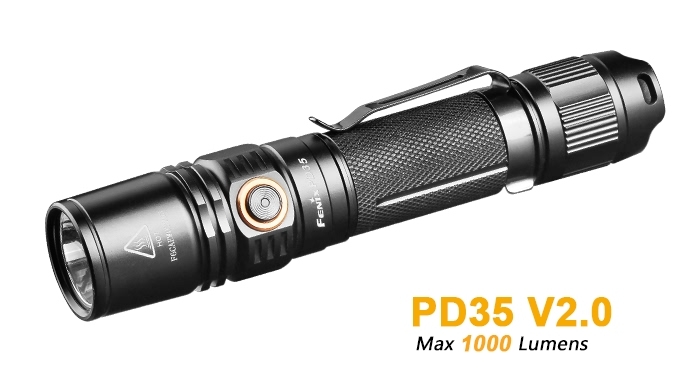 PD35 V2.0 is a handy and delicate flashlight. 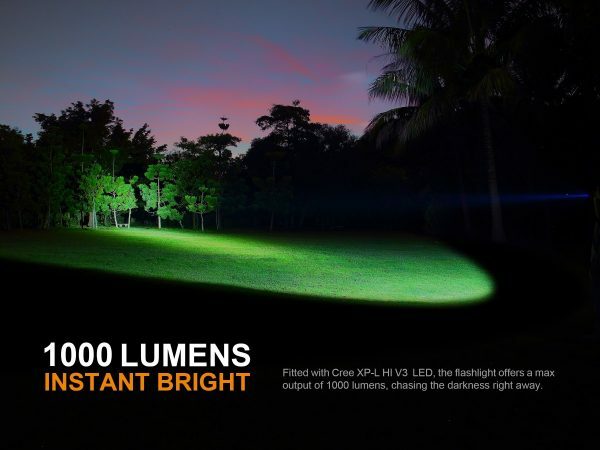 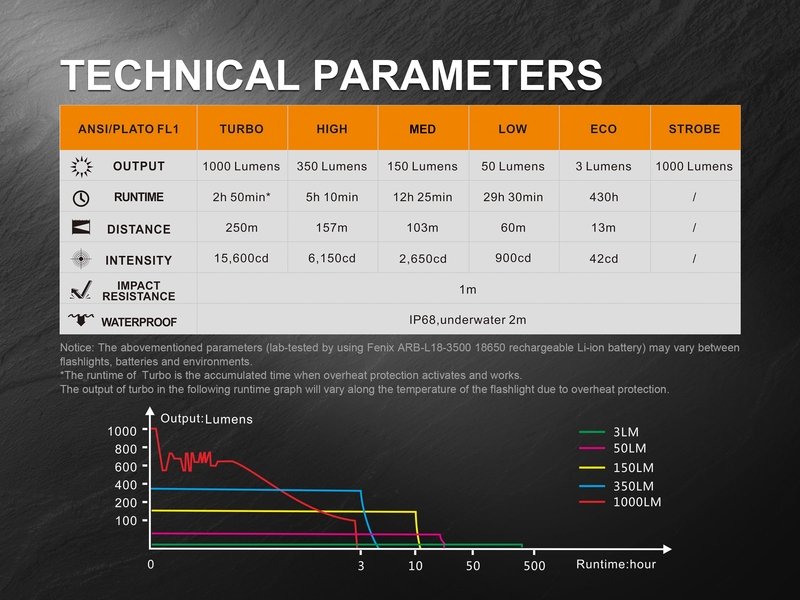 Fitted with Cree XP-L HI V3 LED, it delivers a max output of 1000 lumens and a far-reaching distance of 250 meters. 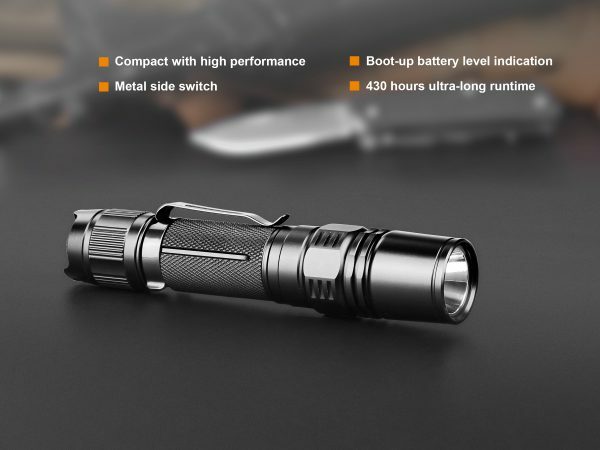 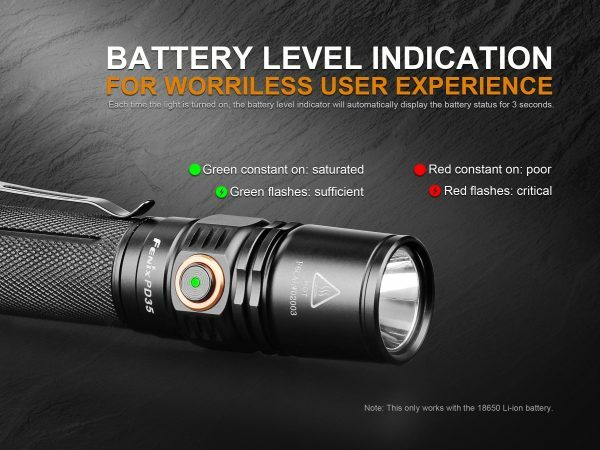 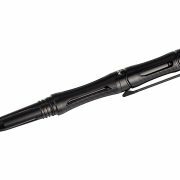 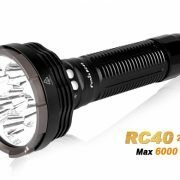 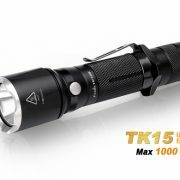 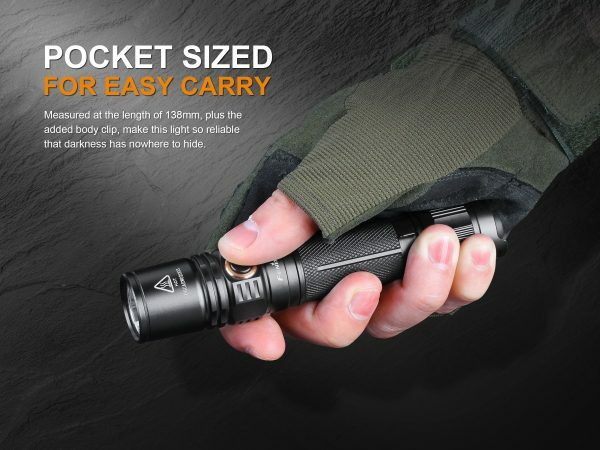 This compact but tough flashlight features five output levels, plus instant strobe, battery level indication is fitted as well. Powered by one 18650 rechargeable Li-ion battery ( NOT Included ), it is also compatible with cold-resistant CR123A battery. 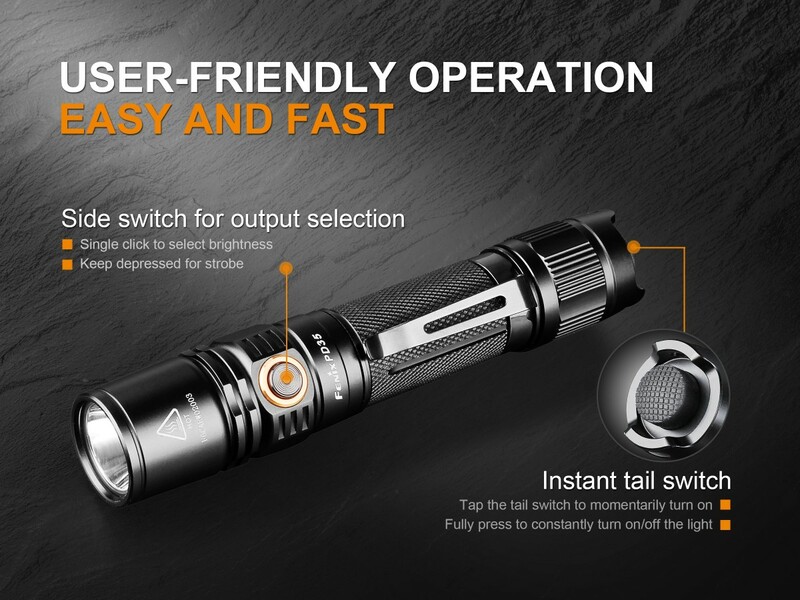 The dual switches design – tactical tail switch and metal side switch, offers rapid and user-friendly operation. 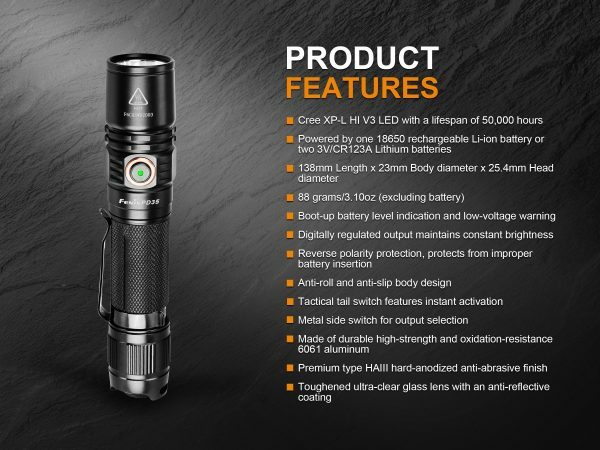 All these highlights make PD35 V2.0 very suitable for military use, policing, outdoor exploring, emergency lighting and even more. 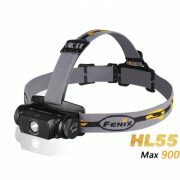 Fenix PD35 V2.0 Flashlight, Lanyard, Spare O-ring, Holster, Spare rubber boot switch.